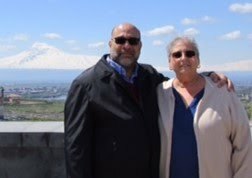 TheArmenianKitchen.com : Armenian Dancing and Armenian Eating - Sounds like a winning combo to me! 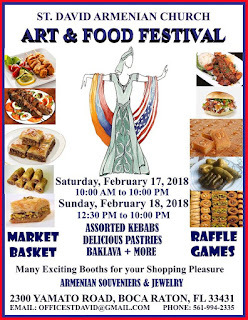 Armenian Dancing and Armenian Eating - Sounds like a winning combo to me! Before you know it, Lent will be here. 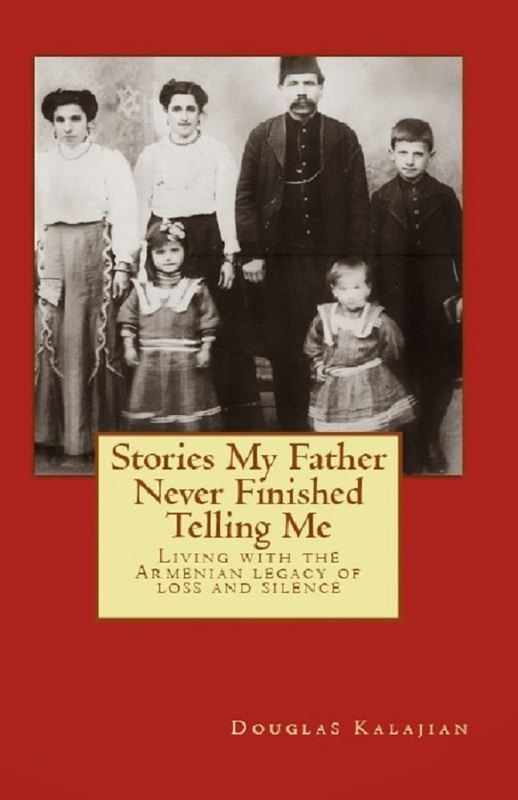 This year it begins on Monday, February 12th in the Armenian Church. 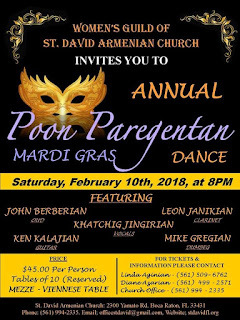 While New Orleans hosts their world-famous Mardi Gras with dancing, music, singing, drinking, and eating, St. David Armenian Church in Boca Raton, FL, celebrates, too, but on a much smaller scale. 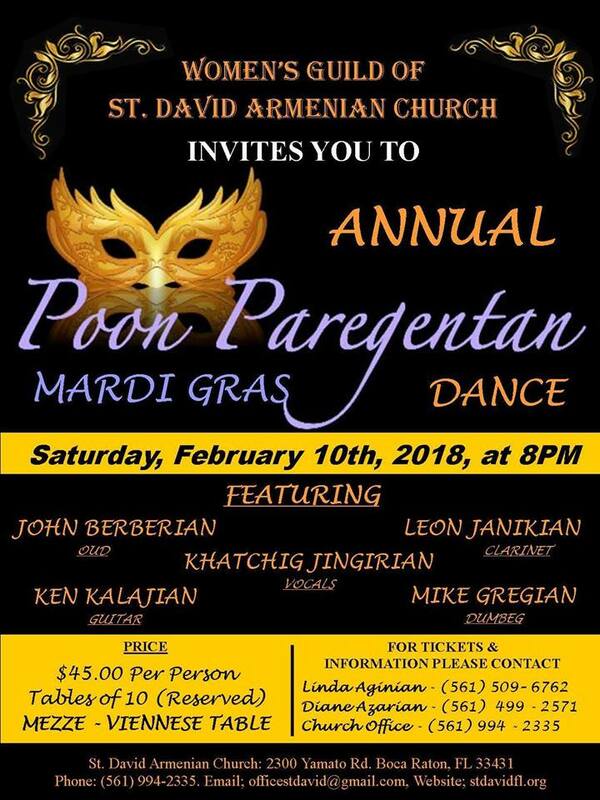 On Saturday, February 10th, the Women’s Guild will host their annual dance with a Mardi Gras theme. One week later the Church will have its annual Art and Food Festival on February 17th and 18th. Keep these dates in mind and join us for 2 fabulous weekends on FUN!